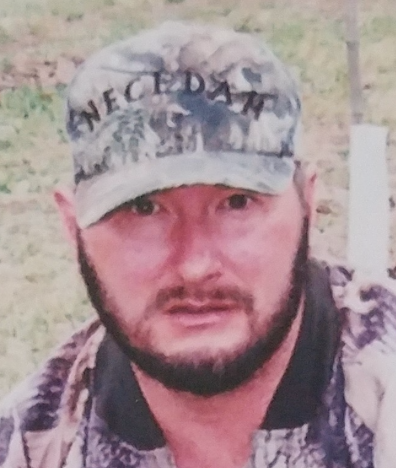 Tom Kenneth Knickelbein, 53 of Necedah died on Saturday April 6, 2019 at his residence in the Town of Necedah. Tom was the son of Kenneth and Mary (Baumgart) Knickelbein and was born on June 17, 1965 in Mauston, WI. Tom was raised in the Necedah area and received most of his education from the Necedah Public School. Tom was active in football, baseball, and wrestling during school. When Tom was a junior in high school his family moved to Cadiz, Kentucky and he graduated from Trigg County High School. Tom was united in marriage to Katherine S. Preston on February 10, 1990 at the Cadiz United Methodist Church in Kentucky. In 1991 Tom and Katherine moved back to the Necedah area. Tom was an avid outdoors man. Who was very active in the Necedah Chapter of Ducks Unlimited and the New Lisbon Sport Club. He enjoyed bowhunting, fishing, and his true passion was waterfowl hunting. 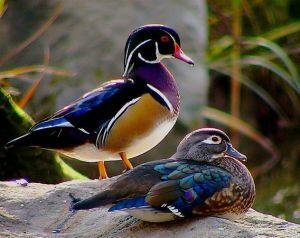 Tom was an excellent Woodcarver with many different carvings, he especially liked carving Wood ducks. He is survived by his wife Katherine of Necedah, a daughter Sarah (Matthew Roberts) Knickelbein of Wisconsin Rapids, WI, a brother Kristan (Jaye) Knickelbein of Cadiz, KY, a sister Tonitte (Mike) McCurry of Tennessee, and buy many aunts, uncles, cousins, and many friends. He was preceded in death by his parents.